Flautist Jane Rutter on her new album ‘Flute Spirit: Dreams & Improvisations’. Former first-class Qantas flight attendant Owen Beddall with Graeme Gilbert. 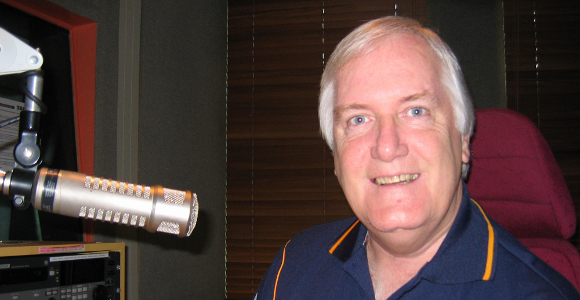 Tamworth National Party MP Kevin Anderson speaks to Graeme Gilbert on July 1. Australian chef Darren Robertson from Three Blue Ducks chats to Graeme Gilbert. CWA President Tanya Cameron speaks with Graeme Gilbert on June 26. President of the NRMA Wendy Machin discusses this with Graeme Gilbert. Shadow Minister for Foreign Affairs Tanya Plibersek with Graeme Gilbert. Singer Marina Prior LIVE in the studio with Graeme Gilbert on June 18. State Opposition Leader John Robertson with Graeme Gilbert on June 10.